You may be suffered from Bluetooth in USB after update to Mac OSX 10.11.6 the latest as of 3-Aug, 2016. The symptom for me is to connect & disconnect in repeat so that I cannot connect to any USB devices due to this symptom. You cannot see nothing in Bluetooth sections in System report as a result. I've googled more than 3 days to look up the solution of this USB bluetooth issue, but no solution at all. 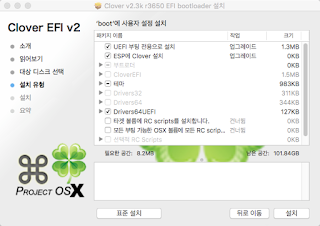 - Please check only the options in below if you install Clover in ESP like me, and include all files under Drivers64UFI. Some document in the internet recommends to install some of them, but you may face the boot failure. 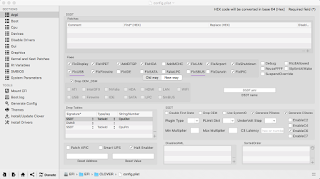 So, it is safe to install all files under Drivers64UFI. 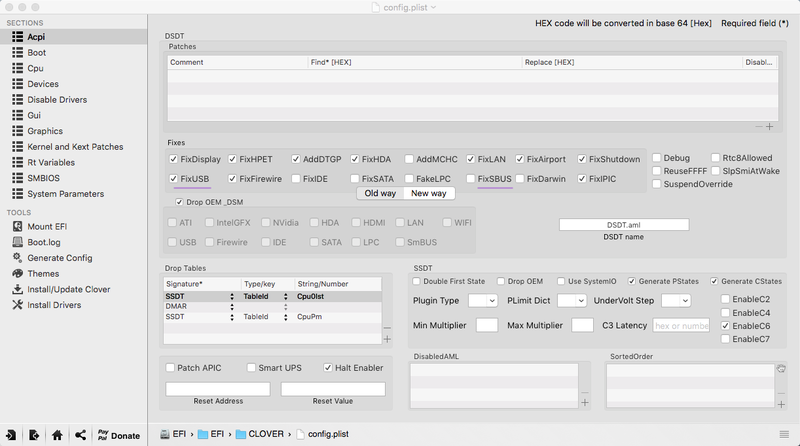 - in config.plist in ESP (/EFI/Clover/config.plist), I checked FixUSB. I didn't include anything for USB in KextsToPatch. 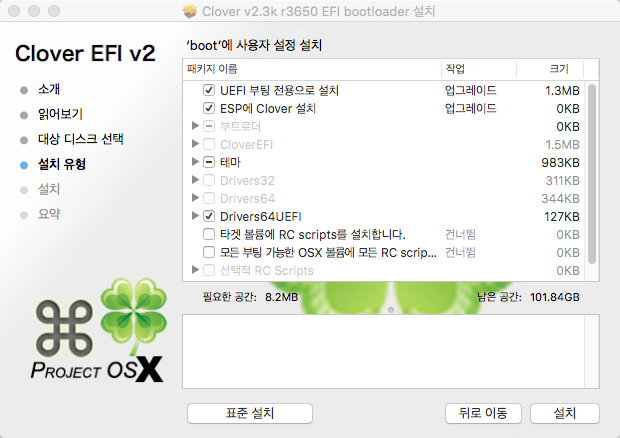 - Please update FakeSMC to the latest in /Volumes/EFI/EFI/CLOVER/kexts/10.11/ & /Volumes/EFI/EFI/CLOVER/kexts/10.10/ with same files. (I installed 'RehabMan-Generic-USB3-2015-1215' & 'RehabMan-FakePCIID-2016-0512') for your information. Hardware : USB dongles : it is most important after all. CSR 8510 chipset failed after no matter what I did even though it worked very well before 10.11.6. But, I found out Broadcom chipset works well! * I don't guarantee the solution above would not cause any issue for you. This is just for your information.